It’s summer once again and that means summer weddings with beautiful brides, gorgeous venues and stunning California grown flowers! 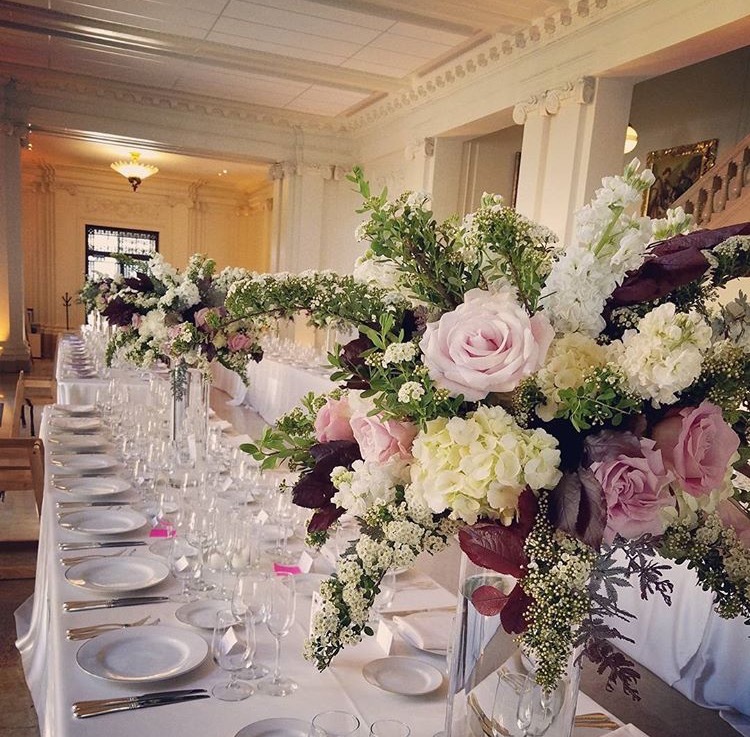 When it comes to wedding bouquets and tablescapes our CSFA florists are known to go above and beyond for their brides and they never disappoint! Whether you’re getting married this summer or next, these timeless and trendy blooms will inspire you nonetheless! Having an outdoor wedding? 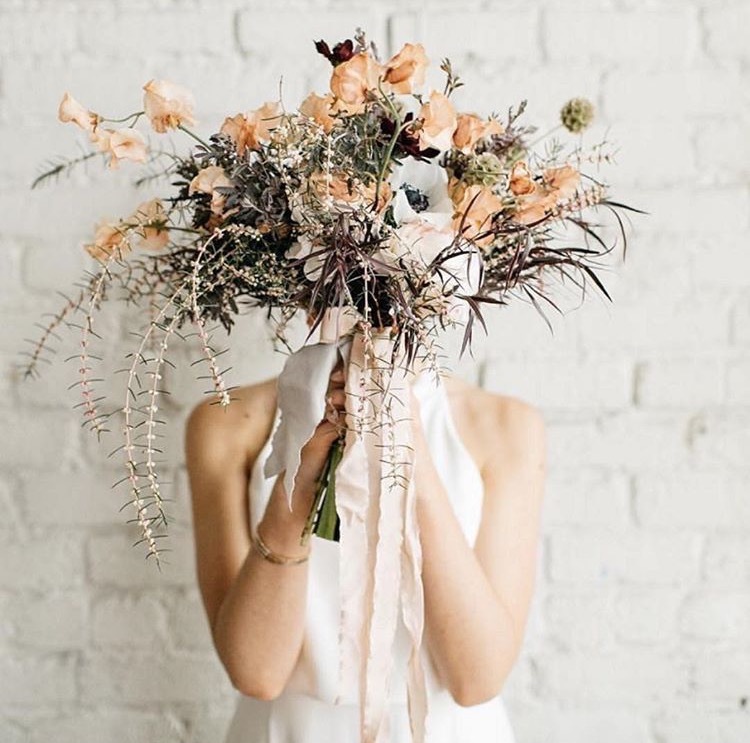 This hand-tied bouquet by Chestnut and Vine is rustic perfection! The peach flowers, woody stems and cascading foliage make this summer bouquet ideal for the free-spirited bride. You can never go wrong with pink – especially pink roses! 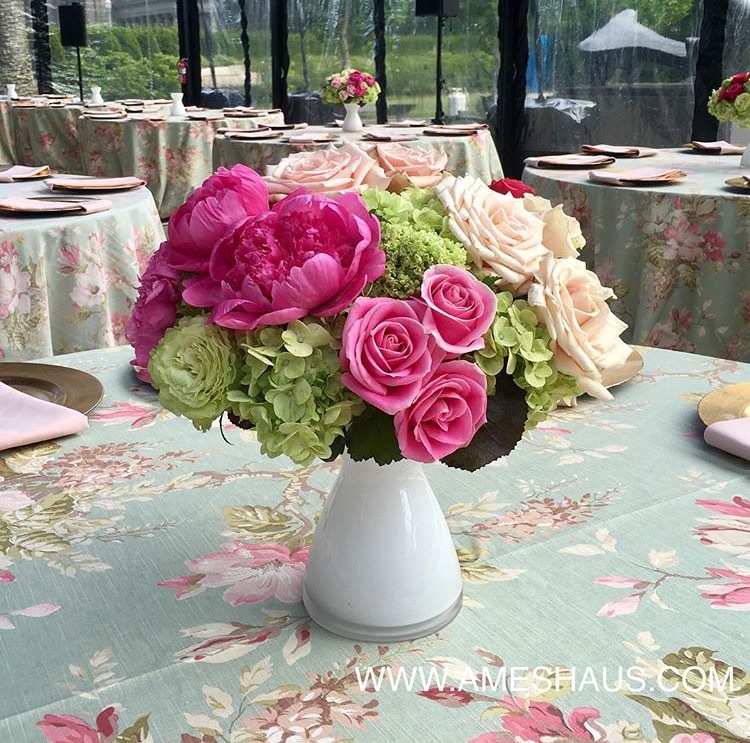 We love everything about this table arrangement by Ames Haus! From the beautiful blush and bright pink roses, to the peonies! The green hydrangeas really top off this flawless look! 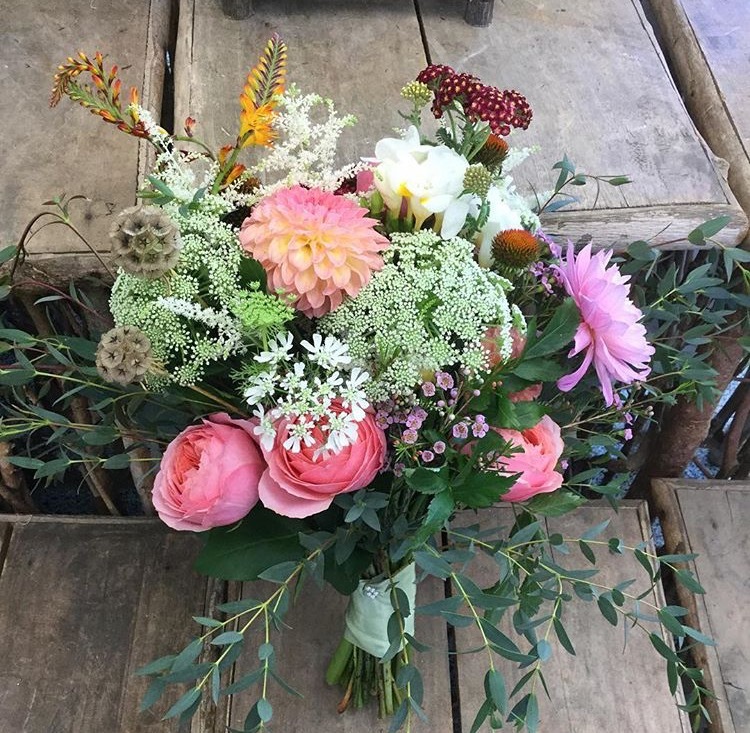 This bouquet by McCool Flowers is perfect for the Boho Chic bride! The variety of summer flowers in this bouquet is exactly what our summer lovin’ hearts desire! Want a look that’s a little more classic? This tablescape by Katharina Stuart is big, bold and beautiful! The flowers in this arrangement give this summer wedding look elegance and class. There’s no other flower that says summer quite like the sunflower! 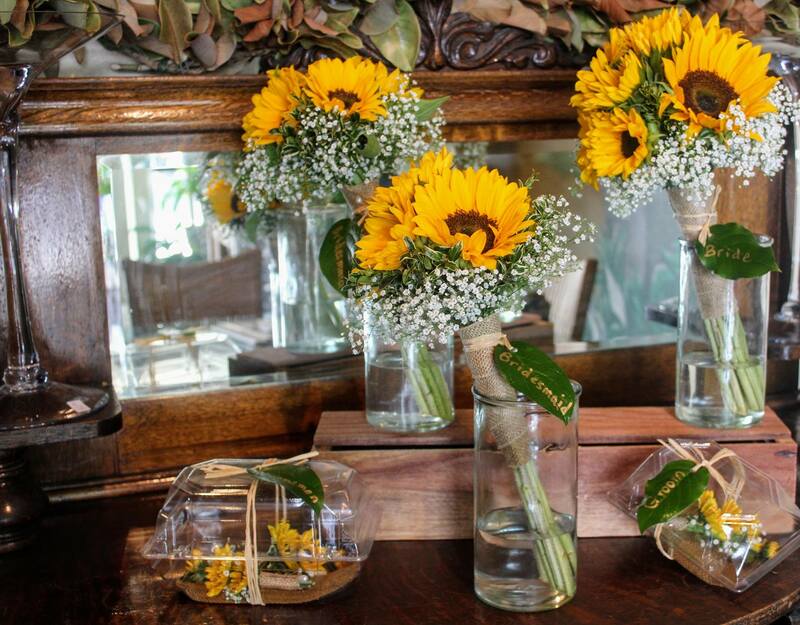 For the bright and sunny bride these sunflower and baby’s breath bouquets by Hart Floral are a must-have! Whatever kind of bridal look you’re dreaming of our California Certified Florists can bring it to life! Find a florist near you!